1Heat the olive oil in a medium saucepan and saute the onions and garlic, until softened. Add the chopped leek and celery and cook for a further couple of minutes. 2Stir in the peas and cashews, then add the stock and balsamic vinegar. Season with salt and pepper and simmer for 5 minutes. 3Transfer to a blender and mix until smooth. 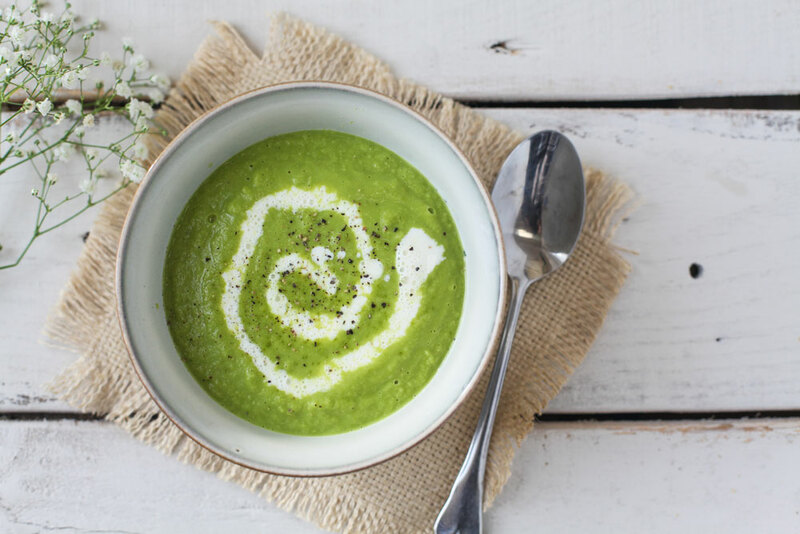 4Ladle the soup into four serving bowls and top with a swirl of dairy-free cream or soy yoghurt.